BRAND NEW ROOF AND GUTTERS! 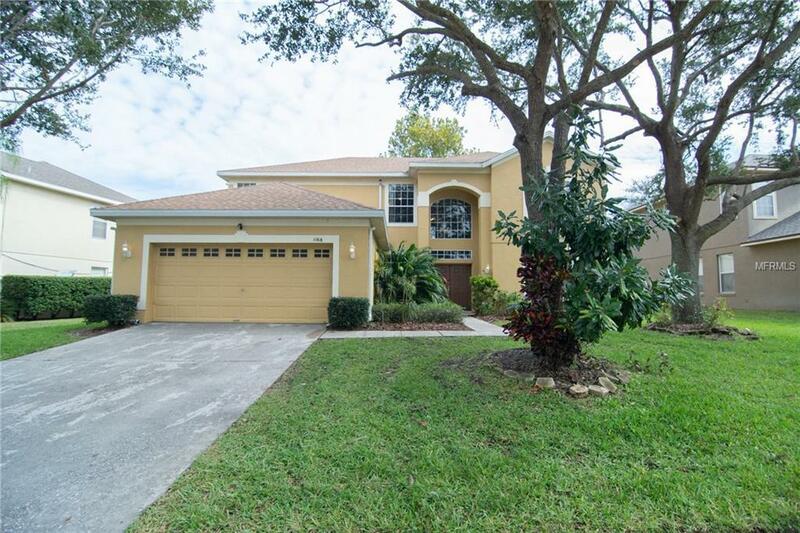 This large 5 bedroom home has a fantastic floor plan and large comfortable rooms throughout. When you walk into the gorgeous 2 story foyer you will be impressed for sure! This home features separate living and dining rooms, spacious family room and huge kitchen with enough counter space for the entire family to cook meals together. There is also a butler's pantry next to the dining room with even more cabinetry for storage. The laundry room has plenty of space to stay organized while getting chores done. There is also a breakfast area with sliding doors leading to the outside patio and backyard, which has plenty of room to add a pool and create the outdoor living space of your dreams! The first floor also has a convenient 5th bedroom that can be used as an office, playroom, guest room, library, music room or whatever it is you need for your family. There is a also a full bath with a huge shower and access to the back yard to finish up the first floor. Once you go up the beautiful staircase, you will find a terrific flex space, 3 spacious bedrooms, hall bath, and a luxurious master suite with a sitting room and a master bath that features a large shower, separate soaking, his and her vanities and has been re-tiled beautifully. Truly an oasis for the end of a long day. The community is located so close to the 408 and turnpike for ease of travel, close to shopping and features a community boat ramp & dock on beautiful Lake Starke for fishing & all the water sports you enjoy! Additional Lease Restrictions See Hoa Documents And/Or Contact Hoa Manager For All Lease Restrictions And Policies.